Preschool art activities, easy kids crafts and painting activities for kids are beneficial for helping preschool & kindergarten children to learn to express themselves using their creativity and imagination. These free preschool and toddler art and cool kids craft activities can be used to teach arts and crafts at home or to use as art projects for toddler and preschool children in the classroom. Art Projects For Kids: Art projects for kids can be simple, using non-toxic paints, markers, glue sticks, tissue paper, construction paper and other craft friendly materials you may currently have around your home. Some other art materials may be purchased for reasonable prices at your local retailer or online. Dollar stores make great places to buy craft and art materials for children for less money. You have to remember when creating craft ideas for art activities for kids that it is really about expression and creativity. Most pre k children just love to paint and use glue sticks and color to express themselves. It’s amazing the cute things that can be created using this art activity idea as you will see in the video. It’s a simple art project for toddlers and preschoolers that they will truly enjoy. Pre K children love new things. Delicious fruity smells from some of their favorite fruits can be fun and exciting for kids. Want to make your child or preschoolers artwork look good and smell good using a fun creative preschool art activity for your children or the kids in your care? Your pre k children will love this simple, fruit smelling preschool art idea. It is something new and exciting to your children. Letting your preschoolers or kindergarten children express themselves through art & painting activities and having some fun experimenting with the various different types of arts and crafts can be a very positive and rewarding educational experience for them. 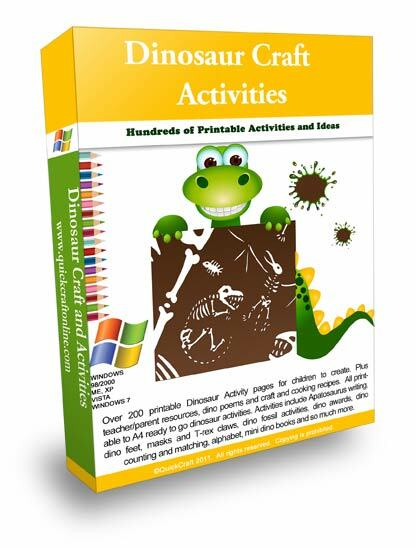 These types of creative activities really help kids to expand their imagination and express themselves, and they are just plain fun for children and simple to do. 1.) Place your working paper on an old table cloth or sheet of newspaper to protect your table or working surface. Have the children pick a different size of paint brush and create/paint a fun picture of their favorite fruit or fruits on the paper. You can have a variety of colorful pictures of fruits available or have some different fruit available for the children to look at for reference when they paint their picture. Once done, allow the preschoolers to let their art painting dry completely. During this time you could talk about the different types of fruit. Talk about the children’s favorite fruits. What different fruit looks like etc. You could even read a fun book about different fruit with the children while waiting for the fruit paintings to dry. 2.) After your fun activities about learning about more fruits, favorite fruits, identifying fruits etc. you can check that your fruity paintings are dry. You can now have the children apply the craft glue (dries clear) over each of the fruits and painted fruits in their creative paintings. The children can then sprinkle different powdered, fruit flavored gelatin over the wet craft glue that they have applied to their painting. 3.) The children now can allow the paintings and craft glue to lay flat and dry completely. In the meantime, teachers or educators can take some time to teach more about fruits. Helping children to identify different fruits can be done using ideas like fruit flashcards, or full color pictures. Books can be read, songs about fruit can be sung and you could even have some different types of fruits available for snack like cut up apple pieces, grapes, strawberries, blueberries and others. *Always SUPERVISE children when they are snacking or where there are a potential choking hazard. Be Safe! The craft glue will dry ‘clear’. You and the preschoolers will be left with a sweet, fruity smelling painting from your young child, toddler or preschooler. This pre k art idea for kids is lots of fun, and as you can see it is easy to build upon and make into a ‘fruit lesson plan’ or activity for the kids. It’s simple & the painting smells good too. Children will enjoy it-as they learn about fruit.